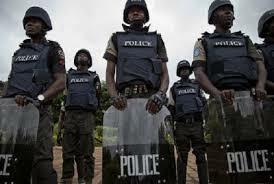 Nigeria police on Wednesday arrested eight persons suspected to have taken part in the abduction of the 276 Chibok schoolgirls in Borno state in 2014. Channels TV reports that the eight Boko Haram terrorists who were among 22 persons paraded, were said to have been arrested by operatives of the Inspector General Police Intelligence Response Team in Borno, Adamawa and adjoining communities. The suspects allegedly masterminded over 50 suicide bomb attacks within Maiduguri and Adamawa states. Recall that students of the government secondary school in Chibok were captured by members of the terrorist group on April 14, 2014, an incident that triggered international outrage and campaign for the rescue of the schoolgirls. So far, 112 of the girls have regained their freedom.